On the internet, there is a wide range of social media apps. With the social media apps, people easily connect or communicate with friends, family worldwide. People use social media apps for various purposes such as sharing pictures, chatting, video or many other things. There are various social media apps for android such as Facebook, WhatsApp, Instagram, Twitter and many others. Facebook: Facebook is one of the most popular social media app and largest social networking site all over the world. It connects different people in over all worlds. It gives information about the different place, custom or cultures. The user can easily build a better relationship with friends, family, and colleagues. Every month, 1.59 million users are active on Facebook. Twitter:Twitter is one of the best social media apps. With this social media app, people easily twits the breaking news as compared to media. 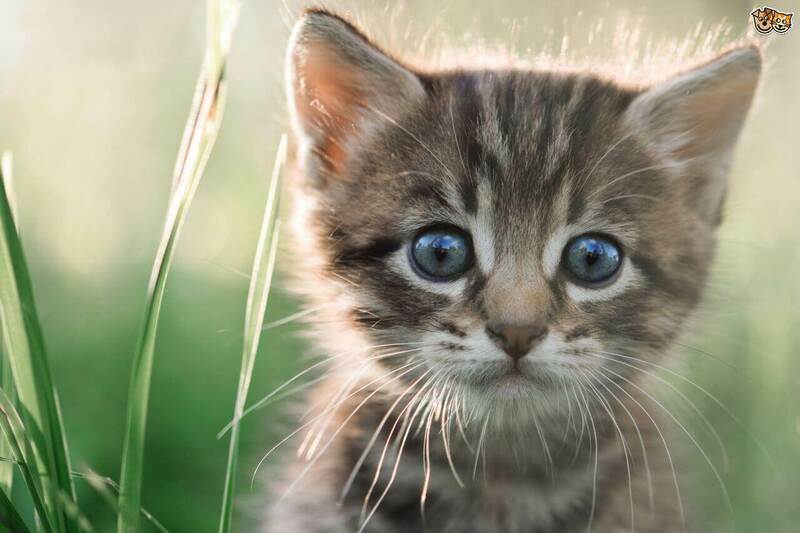 People easily share a photo, video, links, GIF and other multimedia content. Twitter is one of the best sources for digital marketing in the promotion of business. WhatsApp: WhatsApp is one of the most popular social media sites that is also known as an instant messaging app. With this social media app, people easily share multimedia such as audio, video, images, and documents. This social media app allows to user make free video and audio calls with high-quality streaming. Instagram: Instagram is another trendy social app in these days. This app is completely designed for sharing photos and video. The user easily connects the facebook account with Instagram. Google+: This is interest-based social networking platform that allows staying in touch with people by sharing messages, photos, videos, and many others. With this, you can make video conferring through Hangouts and allow to the promotion of business. At present time, every kid’s are addicted to using of Smartphone. With the Smartphone, they play games; browse the internet and many other activities. If your kids have a mobile phone, then you need to aware of them. Mostly, kids are wasting a lot of time on social media apps. With the new invention, there are various social apps that are providing various features. With the social media apps, kid’s sharing their audio, video, images for their friends. On the internet, there are social media apps for android and kids are easily using these apps without any restriction. Kids are spending a lot of time on social media apps such as Facebook, whatsApp, Instagram. The use of social media sites varies from age group such as 15 to 19 aged users spend at least 3 hours per day on average on social media sites. Every concerned parent wants to set parental control on social media apps on kid’s mobile phones. With the social media apps, kid’s access various type of inappropriate content from the internet. 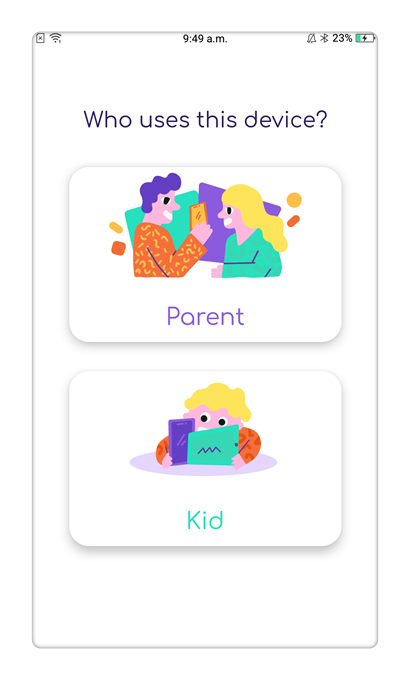 If you want to control over kid’s, then choose the best parental control app. 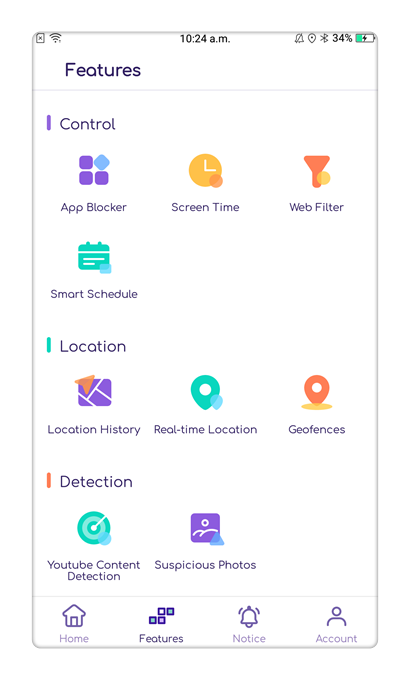 FamiSafe is one of a most reliable parental control app that offer various features for parents to access real-time location of kid’s, geo-fencing, access call logs, block social media app for Android and many others. This app is easily compatible with Android Phones or Tablets. 1. 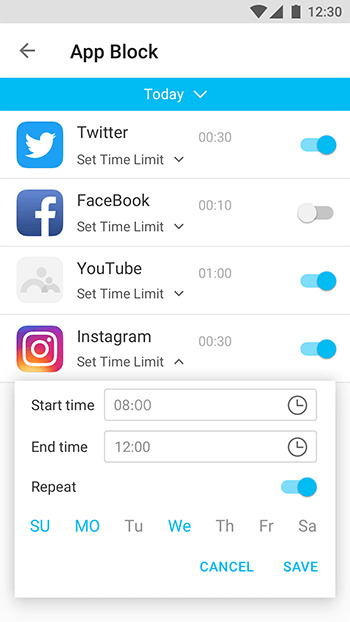 Download and Install: If you want to set parental control on social media apps, then you need to download and install FamiSafe on Android from Play Store. 2. Create an Account with FamiSafe: After the installation, you need to create an account with FamiSafe with valid id and password. The same account is applicable for both devices such as parent and kid. 3. Set up: If you want to set up setting on Android device, then you need to log in with a FamiSafe account. 4. Choose the identity and fill out basic information such as name and age. After that, click on Grant Permissions. 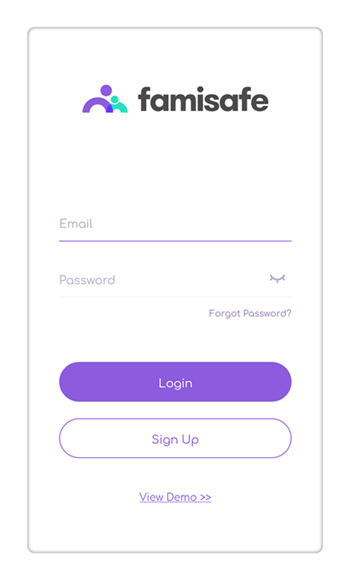 Log in with the FamiSafe account and select the parent identity. Connect with your kid’s device. 5. After that, you can start monitoring of kid’s Android device through FamiSafe parental control app. 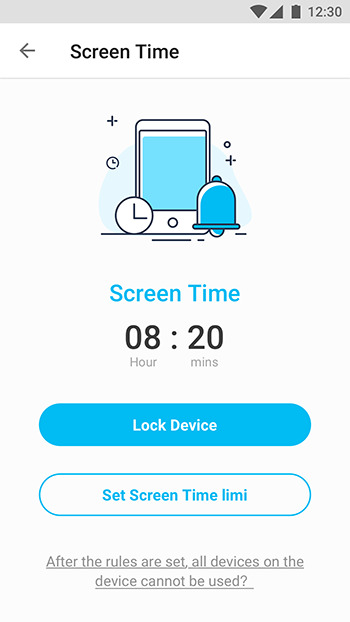 Set Screen Time Limit: If you want to know how much time child spend on social media apps, then you the Screen Time features. With this feature, you can easily know about the how much time kid’s active on their phone rather than study or other activity. - App block: If you want to block social media apps during a period of time, then FamiSafe parental control app is the best option for you. With this app, you can easily block social media apps, because kids are more addicted to using the social apps such as Facebook, Instagram, whatsApp and other social apps. 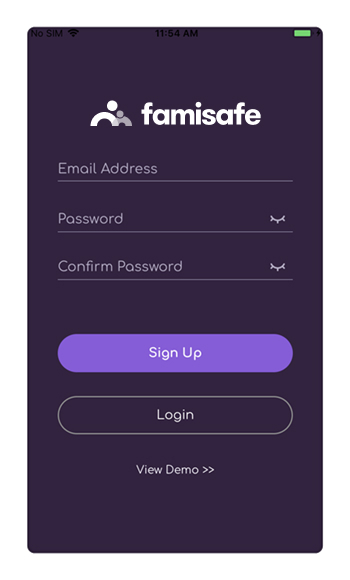 If you want to block social apps, then download and install FamiSafe Parental Control app. Geo-Fencing: With Geo-fencing feature, parents easily set the boundaries around the kids. If kids try to cross-boundary, then parent get notify through notification. Real-Time location: If you want to access real-time location and location history, then the FamiSafe is one of best parental control app for you. Web content filtering: With this app, you can easily filter web content such as inappropriate or unwanted content. This app provides better filtering feature to keep your kid’s stay away from online threats. Access remotely control: If you once installed the FamiSafe app on your kid’s Android phone, then no need to use their phone. You can easily access remote control over all activities. Sometimes, parents are worries about kid’s phone activities such as call logs, messages, social apps, websites and other. If you are a concerned parent, then you need to choose the best parental control app. With parental control app, you can easily set up restriction, screen time limit, and block social media apps for Android through remotely. 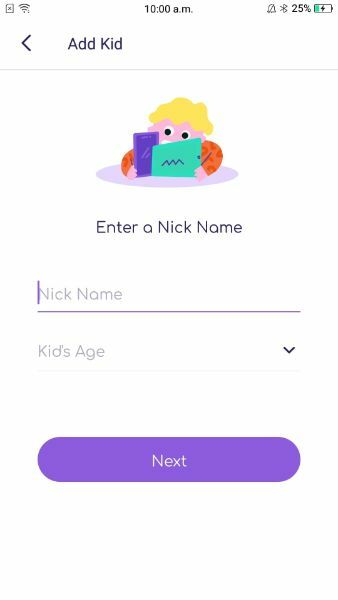 The Famisafe Parental Control app is the best option to set up better parental control over the kid’s mobile phone. If your kid’s spend a lot of time on their mobile rather than other activities, then you need to access their phone remotely. At that time, you need to use a parental control app. The FamiSafe is one of best parental control app for Android or tablets. You can easily free download and install FamiSafe for Android or iOS devices, then go to the Play Store or App Store. This app is simple and easy to use.